Last week, we released the first batch of Magento 1.8 ready Magento themes, and now the second batch is rolling out comprising of 4 brilliant Magento themes: JM Siotis, JM Flannel, JM Mago and JM Jasmine. In total, we have upgraded all of our 2013 Magento themes so far to Magento 1.8. Woot woot! Search Engine Optimization (SEO) in general is a vast subject to cover in a single blog post, optimization requires patience and experience. We will just deal with the basic steps one can take to optimize their Magento stores for better SERP (search engine results page) rankings. How many times were you stuck with a decision in picking up right Magento theme for your online store? Having too many options, many beautiful Magento themes out there in the market, it's hard to decide which theme you should go for. In this blog post, I am going to share 9 tips that may be of help to choose the right eCommerce theme for your online Magento store. Some of you may already be familiar with our heavy and complex Document system in Forums for both Joomla and Magento. Frankly speaking, Forums is not a good place to read userguide and documentation. Userguides and documents were put as forum threads and posts and in which we have received complaints from our users that they could not find documentation anywhere or it’s hard to view and follow. Understand the issues, we have started working on our new documentation site, along with new live site development. After 2-month of effort, we are glad to introduce the all new Documentation site with a complete makeover in term of design and structure. If you are looking for a one page checkout for your Magento 2 store, check out UB One Step Checkout. It provides a fast checkout process which significantly helps you increase your sales and revenue. For those who own a Magento eCommerce site, having the suitable payment methods and implementing these methods properly are really vital. As an open-source eCommerce platform, Magento fully supports resourceful payment methods. You can offer your customers different types of payment flexibly: either payment through the bank, the cash collecting agencies, PayPal, Amazon or Google, nation-wide or overseas. Those methods are ready to be set up in the back-end of Magento core. Gangnam, Obama, Syria, Greece, Israel, London, Hurricane, NASA, Whitney Houston, Gunmen, space jump, God particle and a lot more keywords to summarize 2012. For us in 2012 the keyword was responsive design as most of our work has been impacted by RWD. Besides, keywords like JA Elastica, JA Wall, T3v3, J! 3.0 are also popular keywords popping across our social channels. As a Magento geek, you must already know that the latest Magento 1.8.0.0 is now available! With this version, Magento team has significant improves in functions, core performance and security. Name some of the improvements like: enhancement in tax calculations and security, better product quality and stability, checkout performance and much more. You can check the Magento 1.8 Release Note for more details. So, what does it have to do with us? Keep up with the Magento development, we have upgraded the first batch of our 6 Magento themes to Magento 1.8 which are: JM Gamestore, JM Crafts, JM Monsieur, JM Sporty, JM Hawkstore and JM Lingerie. Wouldn’t it be nice that your Magento store has its depth and personality in it while showing off the products? If you desire more than white spaces and white spaces for a Magento theme, texturing will be a decisive choice for a lively and impressive online store. With texturing, the website will become special, not be found anywhere else and link directly to your own product lines. Wise use of textures can add depth and personality to your website; however, overusing can be make your site look dirty and grungy. After month-long effort, we finally upgraded the last batch of Magento themes with Mega Menu extension. Here are the last 6 Magento themes: JM Celas, JM Bistro, JM Mozanis, JM Ores, JM Norite and JM Purity. In total we have updated 25 of our latest themes with Mega Menu extension. Let’s dig in this responsive Magento theme more in details. 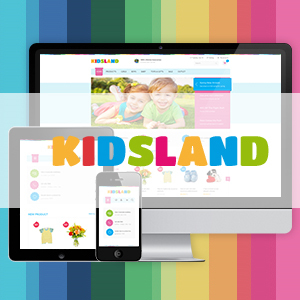 Hi adults, happy to introduce a responsive Magento theme for kids: JM Kidsland! This makeover promises to blow up the colors and fun to any kids stores. Lemme show you some more reasons to fall for JM Kidsland. 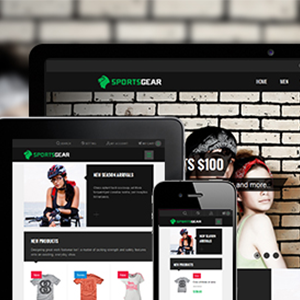 Let's zoom into responsive Magento theme JM SportsGear for eCommerce sports sites. If you are in search for an organized and dynamic responsive Magento theme, JM SportsGear may help you make up your mind. Targeting to sports store for fitness equipment or sportswear, JM SportsGear can blow up the feel of youth and energy into your eCommerce Magento stores. Let me show you some more reasons to fall for JM SportsGear! Responsive Magento theme JM Leathercraft is a great makeover just-in-case you want something elegant and premium for your eCommerce Magento store! Let's see why. One more responsive Magento theme is now added to our ever growing list of mobile ready themes. With JM hawkstore update, the list stands at 11 responsive magento themes and more are coming. JM Hawkstore has been very popular and we received lots of request for updating the same for responsive layouts, this theme is more suited for skateboards or sports accessory Magento store, but dont let this hold you out, it will work pretty good for almost every kind of products you may be selling in your Magento store. Welcome to our fourth batch of Magento themes upgraded for Mega Menu compatibility. In this batch we have 5 lovely themes which are: JM Sterix, JM Irisite, JM Dicento, JM Xiris and JM Feronis.